yes! I have searched for this far too long. Thank you. Some of the names are out of date e.g. Medium Pulse Laser is now called (I think) Small Focused Pulse Laser. Ha, I actually changed that, but photoshop crashed on me and I forgot to re-do it. Also, they need to bring these icons back. You are one of the very few who updates their articles. Respect and thank you very much. Many thanks for this job mate ! 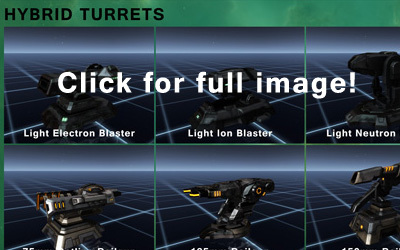 a fast tip usefull for projectile turrets : autocannon barrels are rotating, arty are not. I heard that with faction and officer versions of turrets and launchers they color scheme didn't change based on the ship hull, but was constant with regard to the color scheme of the relative faction or officer. 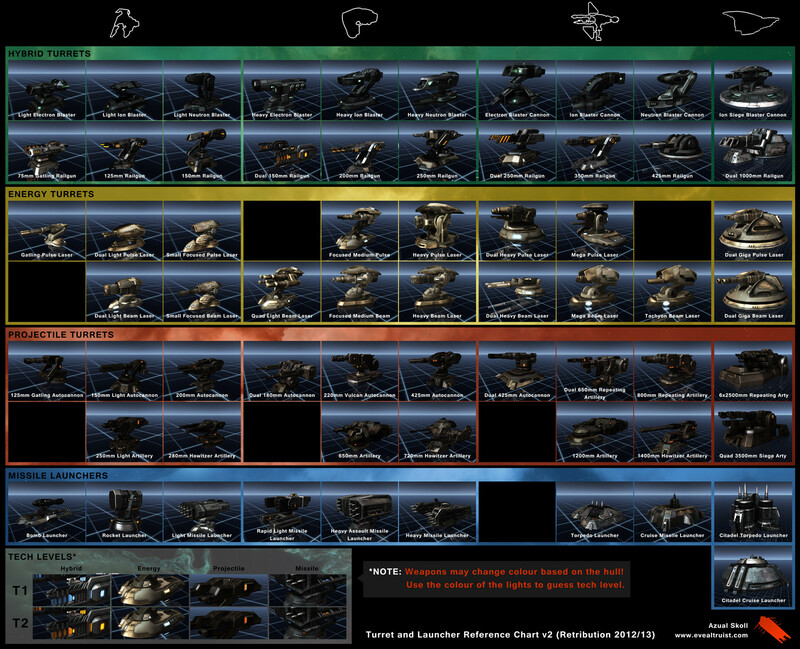 For example a Khanid Navy HAM Launcher would stay black even if mounted on, say, A Kaalakiota ship. Is this true.. and is there any shortcut to identifying the meta level of your enemy's weapons bases on this? I'm not sure about that, but aside from faction (which I guess tells you whether someone might be pimped) I'm not sure the information is that important. Whether someone has T2 guns or not will impact their fitting and flying style, whereas whether someone has meta 2 or meta 4 won't drastically change how you treat them.